Moving is exciting, but packing is a hassle. From tripping over boxes to lugging furniture in and out of trucks, every step of your move can be annoying. Take steps to make it less stressful by planning ahead and taking the time to declutter before your move. Getting rid of excess junk not only reduces stress but can save effort and money. The less stuff you have to move, the less you’ll pay movers. Wondering how to get started? 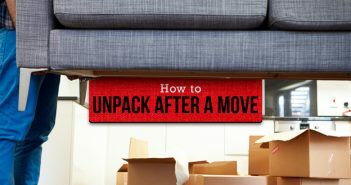 Use this guide to learn what to get rid of before moving and how to get it out of your way quickly. Where will it go in your new home? Is the item damaged or in need of repair? Will it cost more to move than it’s actually worth? The answers to these questions will guide your decluttering efforts. Take the time to measure and inspect furniture and any appliances that aren’t staying to ensure they are worth the effort of moving and will fit in your next home. 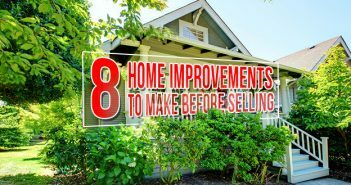 Even with these questions, it can be helpful to start with a small project, such as your junk drawer, which is most likely full of things you can throw away before a move. 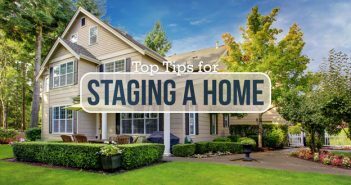 Then, move to larger storage spaces before tackling whole rooms. Begin early enough so you have plenty of time to thoroughly declutter each space before your move. As you go room-by-room throwing things away before a move, use this list to make sure you’re getting rid of the common items that clutter up most homes. Unused appliances: Think bread maker, stand mixer or any other bulky item you don’t use regularly or that could be replaced inexpensively. Scratched pots and pans: If they are damaged, they need to be replaced anyway. Don’t bother moving them. Mugs: How many mugs do you really use? Put all the rest of your mugs in your box of things to purge before moving. Expired food: Check labels on canned and boxed foods before packing them. Extra utensils: Any serving utensils you have two of, don’t use regularly or are taking up too much space can be given away. Furniture: Get rid of furniture that is damaged, won’t fit or will cost more to move than to replace. Books: Any books you don’t love, don’t plan to read or don’t want should be decluttered before your move. DVDs and CDs: When was the last time you watched a DVD? Do you even have a CD player? Old soaps, shampoos and lotions: Whether they are travel-sized or just extra, use as much as possible before a move and then toss the rest. Expired medications: Clear out the medicine cabinet by checking labels and tossing anything too old. Towels: Get rid of towels you wouldn’t want a guest to use. Old paperwork: If you don’t need it, toss it. If it could be important someday, digitize it instead of moving it. Partially used notebooks: Unless it’s in current use, recycle it. Hobby items/craft materials: Have a half-finished project sitting around? Put it in the pile of things to throw away before a move. When people move, the most common items they get rid of are papers. People tend to look at their file drawers and realize that most of what they saved is garbage. What should be saved is creative writing and cards and letters. The rest is often (and should be) discarded before moving. Old linens: Get rid of any sheets or blankets that are stained or torn. Clothes you don’t wear: If you haven’t worn it in a year or wouldn’t buy it again, get rid of it before the move. Old, cheap toys: Anything tucked away in a closet doesn’t need to make the trip. 1. Large appliances: Decluttering these will save tons of space in the moving van! 2. As much furniture as possible: Many people end up buying new furniture when they move anyway. 3. Any items being saved: Don’t bother moving items set aside ‘just in case’ if they can be replaced inexpensively. 4. Unused kitchen appliances: Ice cream maker, pasta machine, etc. These tend to be heavy and take up valuable space in kitchen cabinets. Host a garage sale This is a great option if you have plenty of time before your move and if you’re interested in making a few extra bucks. Donate clutter to Goodwill If you have the ability to move your junk, consider donating items to a local charity, but make sure to leave out anything Goodwill won’t accept. Rent a dumpster If you’re looking for a quick way to get junk out of the ASAP consider renting a dumpster before a move. You won’t have to worry about sorting or relocating anything on your own. Sell or give away items online A good option if you have plenty of time, want to get rid of items without moving them yourself or are interested in earning a few bucks. Or consider using an online platform like Craigslist or Freecycle to get someone to carry away your clutter for you. Getting rid of clutter before you move will help simplify the event itself. 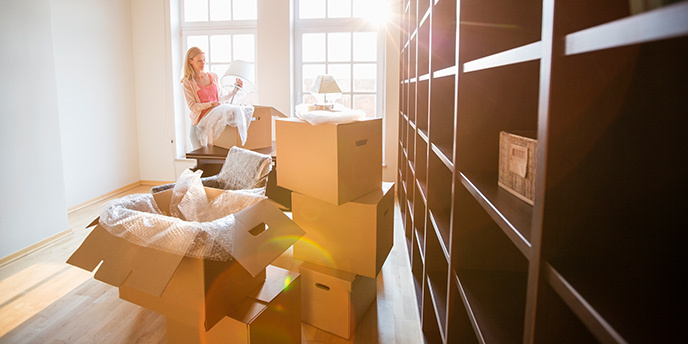 Instead of tripping over little knickknacks and sorting old papers on moving day, you’ll be packing and loading up items you know you’ll enjoy having in your new home.